One of the economic drivers that our country is experiencing right now is due to the boom in the construction industry. Look around major cities in the Philippines and you will see tall buildings, large malls, subdivisions, and other high rise construction flouring in areas like Metro Manila, Cebu, Davao, and Cagayan de Oro City for example. But, along with developments are also problems either intentionally done or pointed out by other people with personal interests. 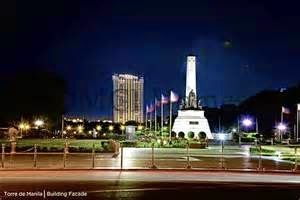 Take for example the case of Torre de Manila. Torre de Manila is a 46 storey condominium currently being erected at the heart of Metro Manila which is near Rizal Park or otherwise known as Luneta Park. Since the construction is within the University Cluster, it is only permitted a gross area of 4 in terms of floor area to plot area ratio. And according to some reports, DCMI, the constructing firm, has already violated zoning laws as the construction plan revealed a ratio of 7.79. However, some quarters of society are not only questioning zoning violations but also cited historical and cultural significance as reasons for violation. According to the Knights of Rizal and other anti-Torre de Manila construction, the building will destroy the aesthetic landscape of Luneta Park. In addition, the construction of this residential building also desecrates the historical importance of the place where our national hero is buried. Some people say that it is like burying our heritage. Heritage advocates like Carlos Celdran and other culture activities pointed out that in other countries, heritage sites are totally protected; thus, the iconic aspect and landscape of important landmarks in different countries are not marred with structural distractions like the one Torre de Manila will bring once the construction is finished. Other people like Manila Times columnist Ben D. Kritz pointed out that there is a possibility that DCMI indeed violated some zoning laws, national laws on culture and history, and even bribery. The question is what to do if indeed they are guilty. What happens now? According to him and other analysts, it is a no win situation. For example, what will happen to the building if Torre de Manila is an illegal construction, will it be an “unfinished eye sore” forever? These people further added that this controversy has already sent warning signals to different potential investors in the country. It describes how totally indifferent different government agencies are from each other and refuse to act together. And, some critics and detractors might be barking on the wrong tree. According to City of Manila administrator, they found all documents not wanting; thus, DCMI was allowed to move ahead with their project. Melvin Balagot, the Manila City Hall official who was tasked to issue building permits was quite correct when he said that the problem with some people is that they want development but they make another issue. But, he is also quite wrong when he insisted that procedures were followed; thus, the construction was approved. Was it approved based on his personal judgment or based on laws and statutes? One of the prerequisites that should be undertaken before a zoning clearance is to be endorsed and approved by the councilors and the mayor, respectively, is the holding of a public hearing. Was this ever conducted? When? Who were the attendees? Were all the stakeholders even invited? Granting that all the provisions of zoning regulations were met (which was not), the public hearing, if properly conducted, would have put a stop to this construction even before breaking ground. 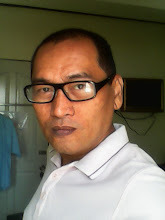 Mr. Balagot should be asked on the issue of the conduct of public hearing, among others. There was no proper forum conducted; hence, the developer was accused of violating zoning laws. The information provided beforehand didn't mention the possibility of photobombing Rizal's monument in Luneta. The local authorities also didn't realize that until the actual building's construction started. Welcome to the blogging world by the way! from what I learned also with regard to public hearings, many of the supposed concerned citizens were nowhere to be found during public hearings. This is true with other public hearings not just on this Luneta vs Torre de Manila brouhaha.